Minturn, CO June 8, 2009: Colorado Basement Systems LLC will present solutions for moisture in crawl spaces and basements at the Fourth Annual Healthy Homes Tour and Fair in Avon, CO on June 20th. The company will have a booth in Nottingham Park from 10 am to 4 pm. The tour and fair highlight green building technologies and eco-friendly home solutions. We help homeowners turn dirt crawl spaces into usable, green healthy spaces, says Lynette Marie Lacerda, General Manager of Colorado Basement Systems. Insulating, encapsulating and conditioning a dirt crawl space saves money on energy costs and reduces the carbon footprint of the world by reducing energy usage. LEEDSpoints. LEED is the nationally accepted benchmark for the design, construction, and operation of high performance green buildings. We provide a healthier indoor environment for homeowners with water and moisture issues in basements or crawl spaces,� adds Lacerda. Even in a dry climate like Colorado there are issues with dampness and water. Spring runoff, building in a high-water table area or near a river can cause moisture which can lead to odors, mold or wood rot in the crawl space if the problem isn't solved. Colorado Basement Systems is a dealer for a company holding over 24 patents on products to reduce water and moisture and to keep homes dry and healthy. Patents include the CleanSpace liner for crawl spaces, as well as drains and pumps used in both basements and crawl spaces. For more information, please visit www.coloradobasementsystems.com. 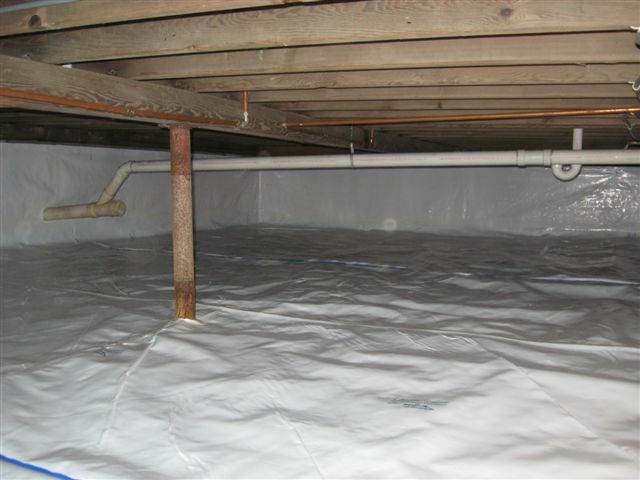 Colorado Basement Systems LLC in Minturn, Colorado is the leading crawl space and basement waterproofing company in its market providing a single-source solution. Colorado Basement Systems� team offers solutions to manage moisture and water in crawl spaces and basements by using over 23 patented, proven products. The end result is drier, healthier homes for clients with improved air quality.